As soon as I moved my focus back to Irish duty and to the track again my main aim was to look at everything that could make me a better bike rider. One of the first things I looked at was the very thing I train on, everyday! My track racing bike and the road training bike were very different animals so I thought why not have them set up exactly the same. Problem is that my Felt TK1 is pretty unique, it’s setup for the optimal performance on track and there isn’t a road bike out there with the same geometry. This is where Brendan Whelan and the Bicycle design centre comes in. 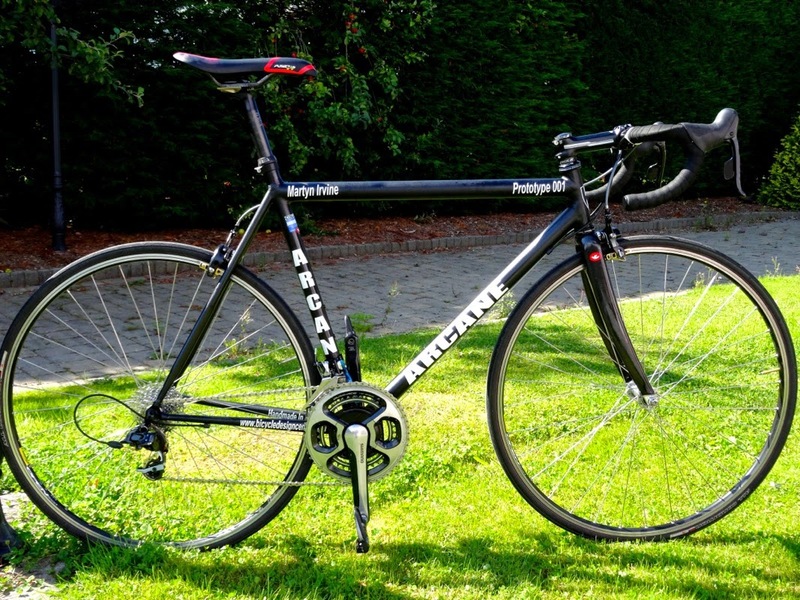 I know Brendan from racing on the Irish cycling scene and I’ve seen some of the work he has done on other custom bikes. Since I started cycling I’ve been on a limited budget, cheap or free! Things pretty much still run in that trend and I’m really grateful for Brendan’s help. I approached him with an idea of getting a road frame with a similar geometry to my track bike. I wanted to be training in a similar position to my track bike, that makes perfect sense in my head. I honestly think Brendan fell off his chair when he looked at the dimensions that I showed him. The 60cm top tube and 14cm head tube was probably his main concern. Long and low! The other obstacle I had for him was the time frame, I was heading to Mallorca to prep for the European championships and I wanted to get training in that position ASAP. Thankfully Brendan was up for the challenge and soon enough he was keeping me posted on the progress. I was really looking forward to getting my hands on it. A Columbus steel frameset and a full carbon fork. Soon enough I got my hands on the frame itself and got to work building it. I measured everything 10 times, changed the stem a few times and added a spacer here and there. Eventually I got it set exactly like my Felt TK1 track bike. It has the same saddle setback, same reach and saddle to bar drop. Within the week I was in Mallorca and soon racking up the miles. Straight away it felt great, I didn’t even have an ache or a pain that I would usually get from changing equipment. A random road in Mallorca that you wouldn’t take your car down! At the velodrome in Mexico.